With more than 200 sovereign countries (most of which have subdivisions such as states, provinces, oblasts, etc.) and an estimated two million cities and towns, the world is full of flags. A lot of them are wonderfully designed and even more are just plain bad. However, not all flags fall neatly on this spectrum. To put it plainly, there are a lot of flags that aren’t necessarily good or bad; they are just bizarre. This is the second in an ongoing series where we examine some of the world’s weirdest flags. Click here to see World’s Weirdest Flags (Part 1). 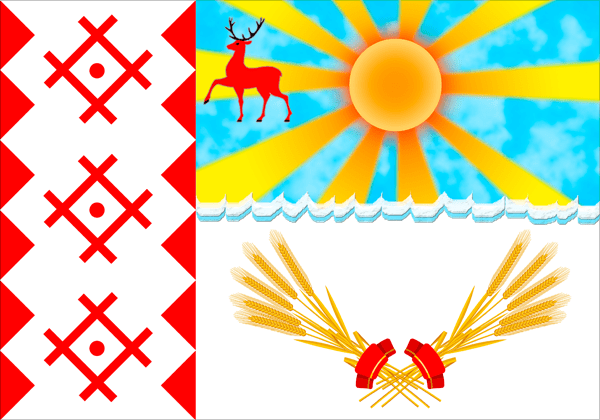 The reindeer is a common animal in West Bothnia, but this flag looks like it belongs on an ugly Christmas sweater. “This is my Swedish Fish. There are many like it, but this one is mine.” – Bear. Unfortunately I couldn’t find much about this flag. 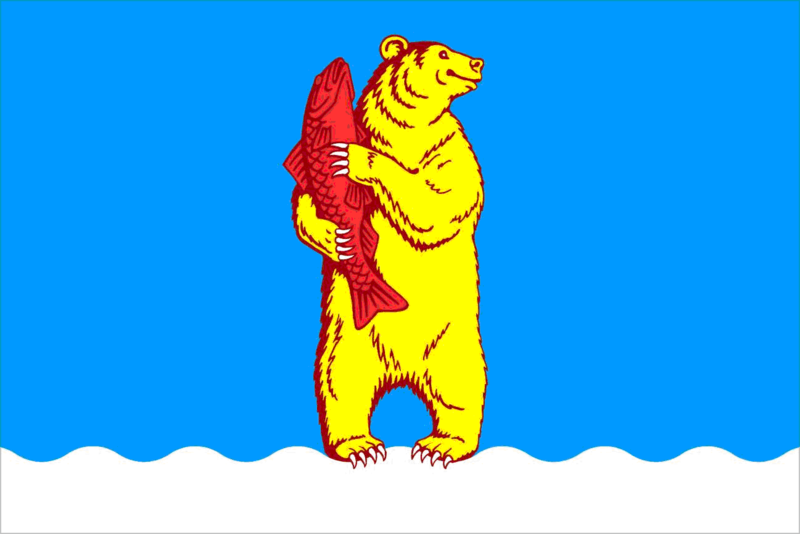 However, Anadyr is a port town and (as we know from Part 1) bears are very common on Russian flags. So one can only assume that Anadyr has or had a large fishing industry. Or they love Swedish Fish. It’s okay Susuman heart, don’t cry. Or are you sweating? 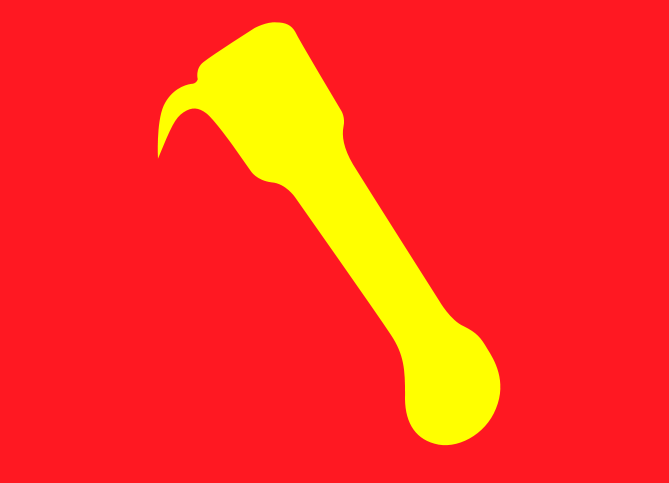 Susuman is a major center of Russian gold mining and relied heavily on “correctional labor” from the Gulag system. This could explain either sweat or tears coming from a gold-colored heart. 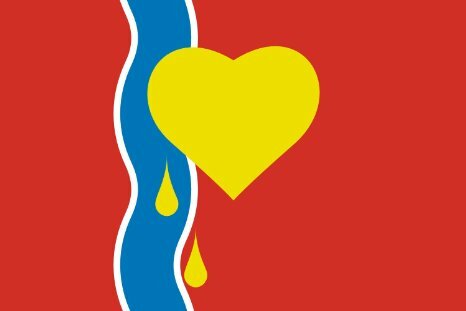 Susuman also sits on the Susuman river, which could be represented by the wavy blue line. While the flag itself isn’t terribly weird, the concept of an uninhabited planet having a flag is. The flag was designed by NASA’s Haughton-Mars Project and is supposed to represent the planet’s eventual transformation from “The Red Planet” to a habitable planet with vegetation and water. This flag features a rosa camuna, a design harking back to ancient Italian cave carvings. 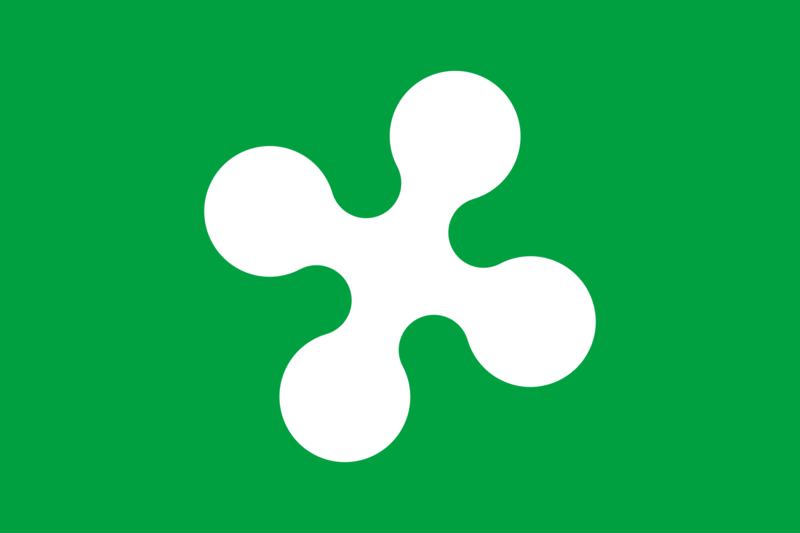 Without knowing this, you might think the game of jacks was invented in Lombardy. Back to Russia we go! There’s so much going on in this flag: the airbrush-esque blue sky, the deer floating in the air, the three tic-tac-toe games, the wheat, the mountain/waves/snow… It looks like three different designers had their hands in this flag. 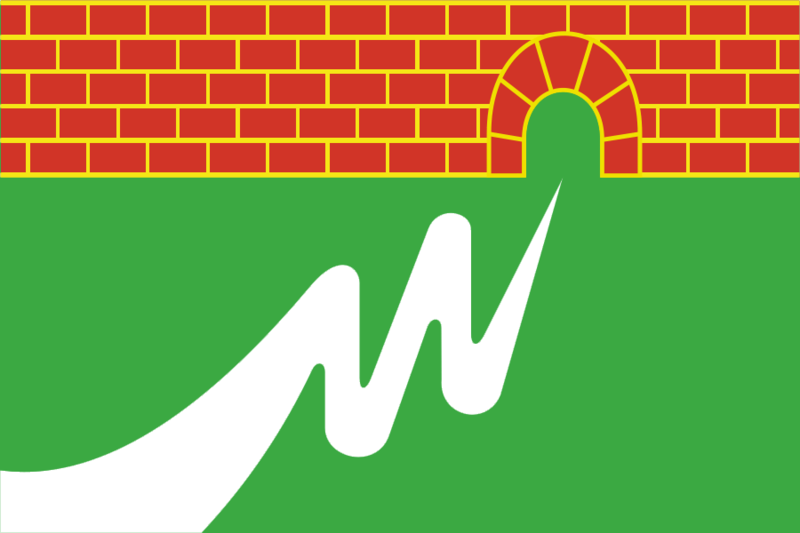 How wonderfully 80s is this flag? According to the designer, the orange and red represent the sun, the green stands for land, and the blues are for water… you know, things that they don’t have anywhere else in the world. 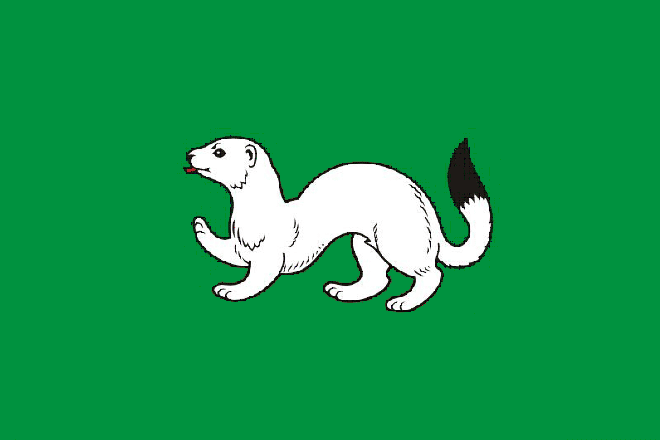 When I think of great animals for flags, my mind often jumps to weasels. Not really, but it sure is an interesting choice. I couldn’t find why this Siberian town chose the weasel, but I would bet they are fairly prevalent there. 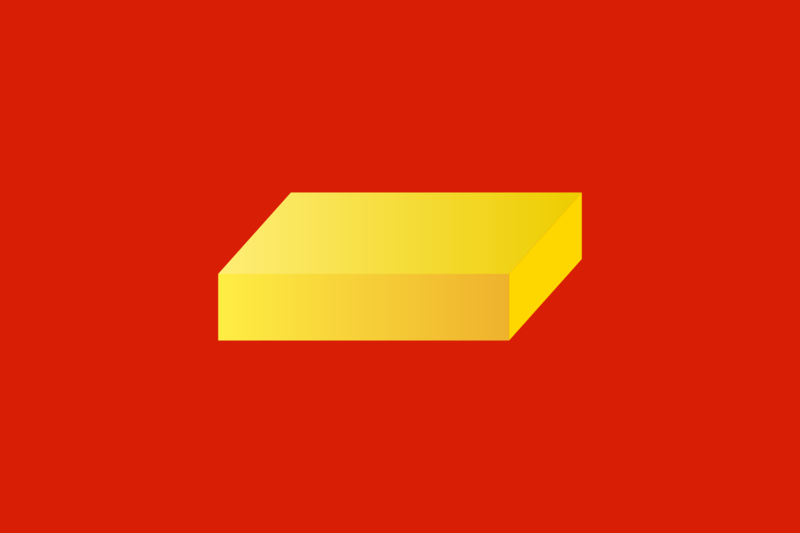 From the same oblast that brought us “The Ladder” flag from Part 1 comes “The Brick” flag! I found one unsourced article that says the brick is supposed to be a bar of soap. All I could really find was that the city is a major supplier of flax. I have no idea if flax is involved in soap production or not. All I know is, that is a brick on a flag. Barquisimeto is known for its beautiful sunsets, earning it the moniker “Dusk City”. 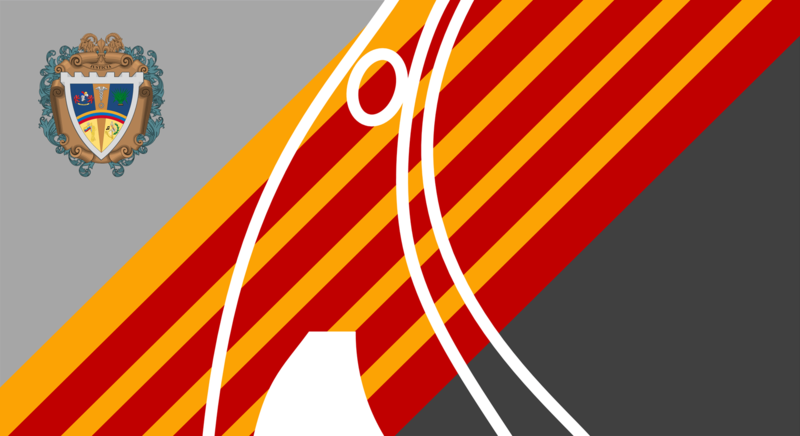 The red and yellow do a good job of evoking a sunset, but the effect is flattened by the grey tones. The city is also home to “El Oblesico”, an obelisk erected in 1952 commemorating the 400th anniversary of Barquisimeto’s founding. As you can see here, the obelisk does not look like the Leaning Tower of Pisa or a building in a Dr. Seuss book as the flag suggests. This flag doesn’t look too weird if you don’t know what is depicted on it. The yellow object is a Hakapik, a club designed specifically for seal hunting. The Hakapik has two purposes: crushing a seal’s skull with the blunt end and dragging the carcass away with the hook. One might forgive this flag design if it was made a century ago when seal hunting wasn’t as taboo of a subject. Unfortunately, the design was approved in 1984, bringing its weirdness to a creepy new level. We return to Russia for Part 2’s finale. The rural town of Drovninskoe apparently builds their mouse holes into the brickwork. How nice of them! Want to see more weird flags? Check out Part 3 and Part 4!